Introducing one of my neighbourhood dye plants. It is a Eucalyptus tree, but after many efforts, I still can’t say what specific kind of Eucalypt it is. I have books and I even have Euclid, but I am up against the limits of my own ignorance and the complexity of the task given the hundreds of different varieties of Eucalypt Australia has to offer. But I can say that this tree is beautiful and that it gives rust-orange-maroon just depending on the method, whether I use leaves or bark, the ratio of plant material to fibre and my luck on the day. 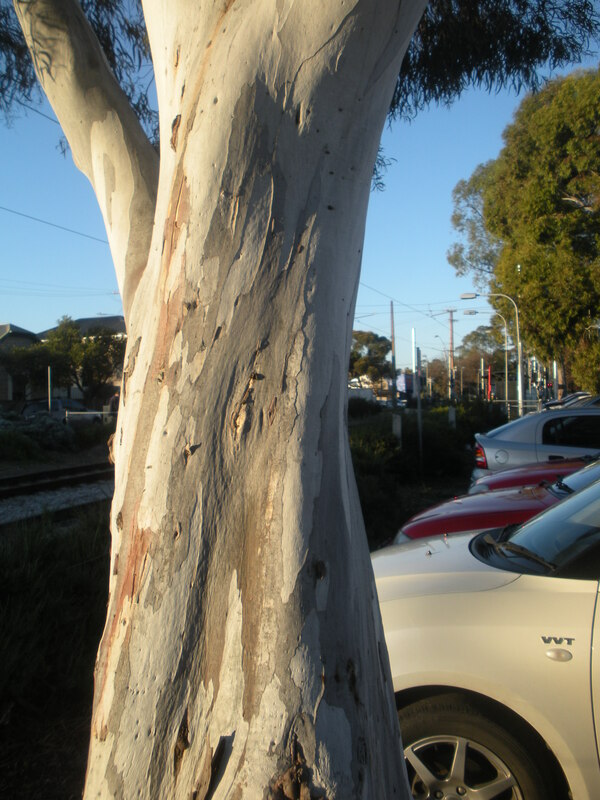 Here it is, beside the tram track, with a close up of the trunk. It is opposite number 23, Railway Tce South. It branches so high up that I visit for fallen leaves after it has been really windy, but mostly I collect bark when it is peeling–later in the year. After my first attempt dyeing with eucalyptus, I can say that I think it will be my favourite dyestuff forever and ever. Just the smell alone is so divine. But then you get such amazing colour from it, too! 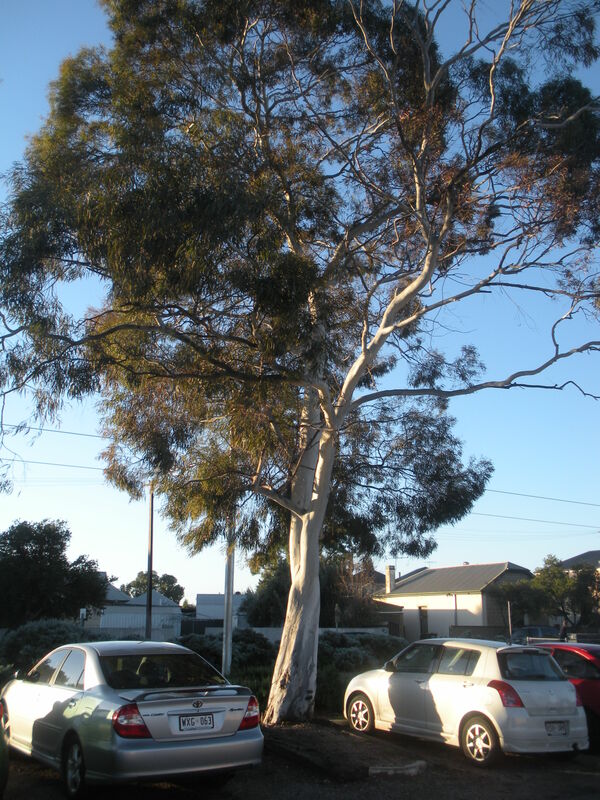 You are very lucky to have neighborhood eucalypts! I can only agree with you. I feel really lucky! Mind you, in the US you have quite a few eucalypts, and then all those native plants I read about but have never seen… and the capacity to grow Japanese Indigo (this is a banned import here and given the weed burden in Australia, I won’t be looking to get round the ban). Seems like every place has its dye plant wonders.